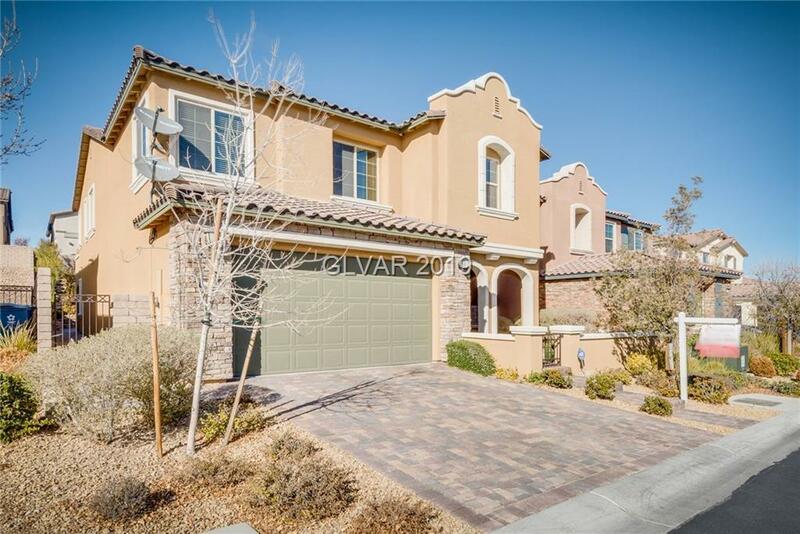 STUNNING Summerlin EnergyStar-rated home, minutes from Downtown Summerlin, shopping & dining. 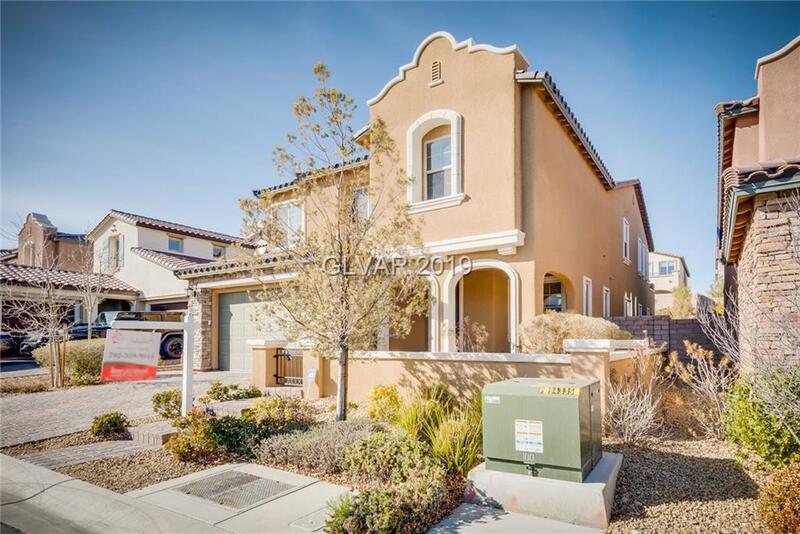 Offers Airy, tile/ laminate, soaring ceilings! 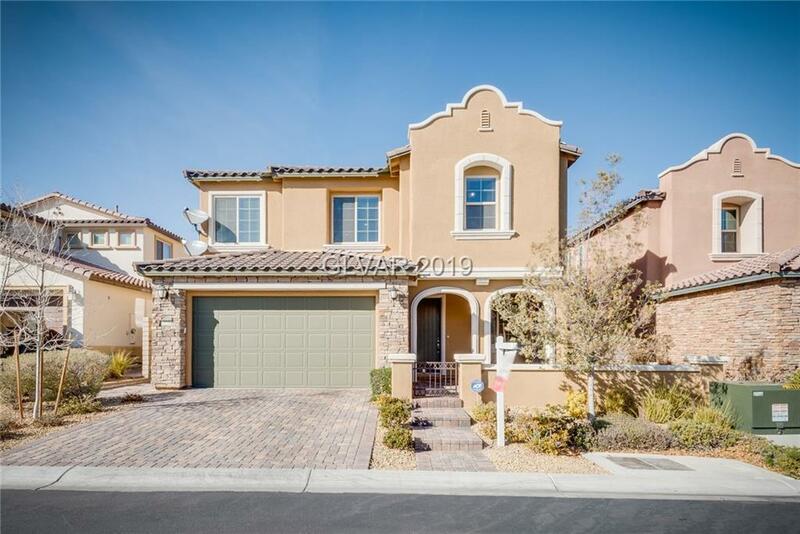 Chef's kitchen w/custom cabinets, butler's pantry w/ pre plum for a sink, breakfast nook, granite, HUGE pantry.One Bed & bath down, Private master suite w/enormous closet! Fabulous loft, 3rd bedroom w/ full bath, Surround sound. 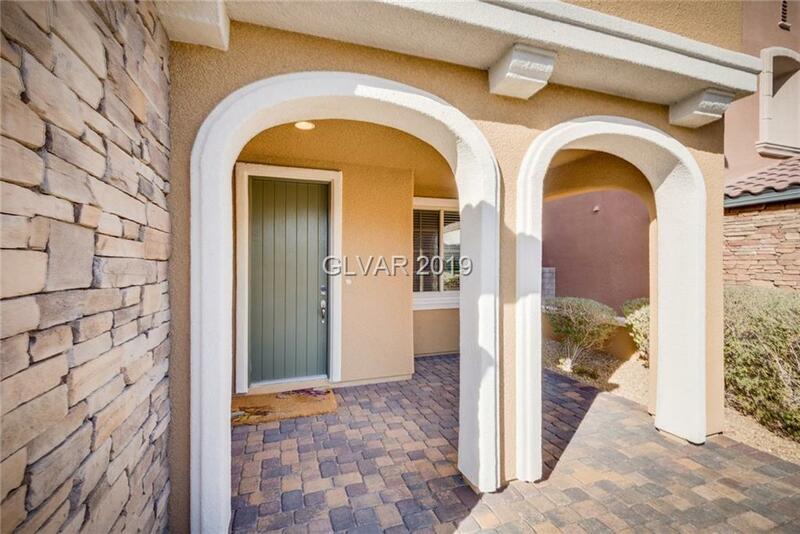 45 x 8 Covered patio, driveway/courtyard pavers & fully landscaped backyard.